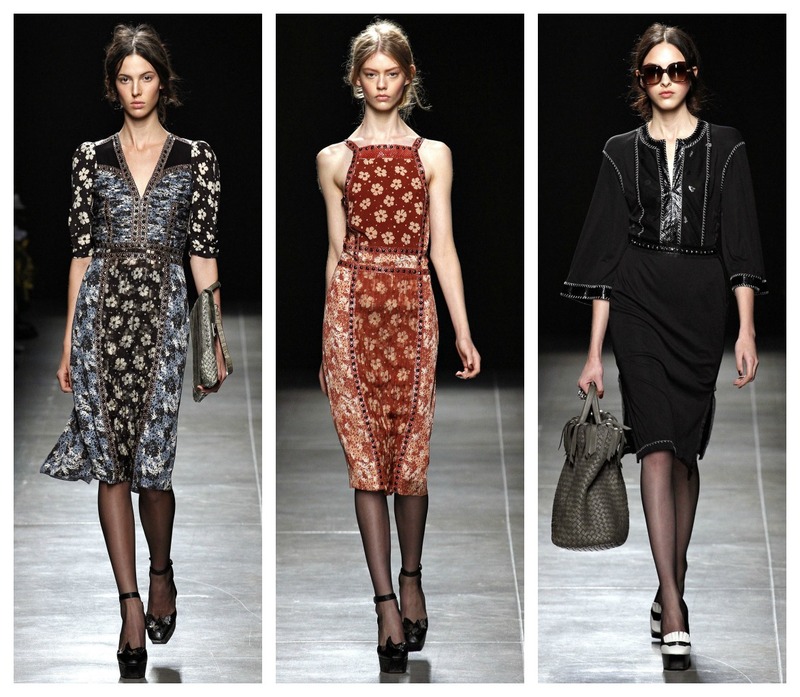 Bottega Veneta's Spring Summer 2013 collection sent us on a time warp back to the 1940s. Though the early 1940s had a refined simplicity due to the war, the Hollywood movie stars still keeps their glam appearance, to bring hope to others. This hope spread once WWII was over in 1945, and there was a revival of lux looks. 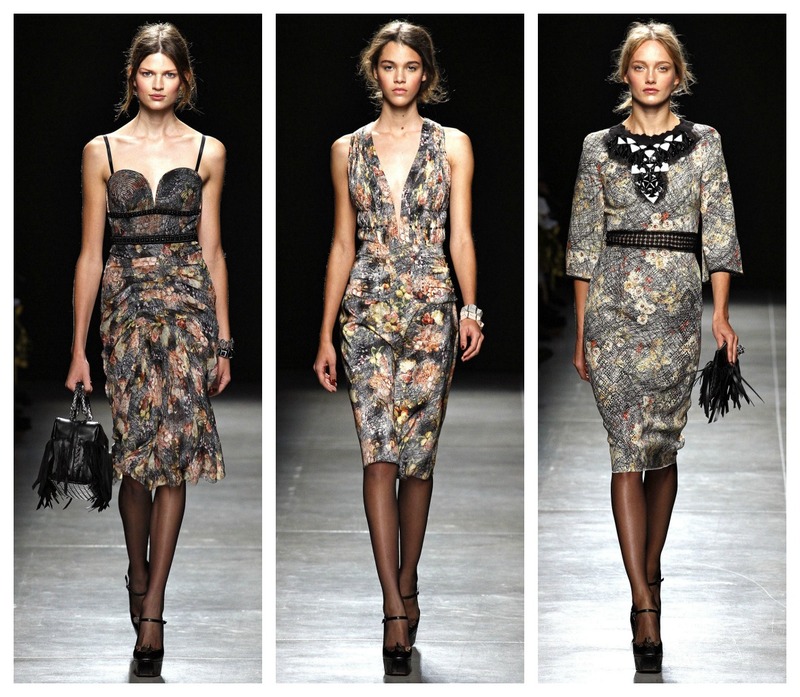 However, this collection is from Milan Fashion Week, so the aesthetic is different than the American 40s. 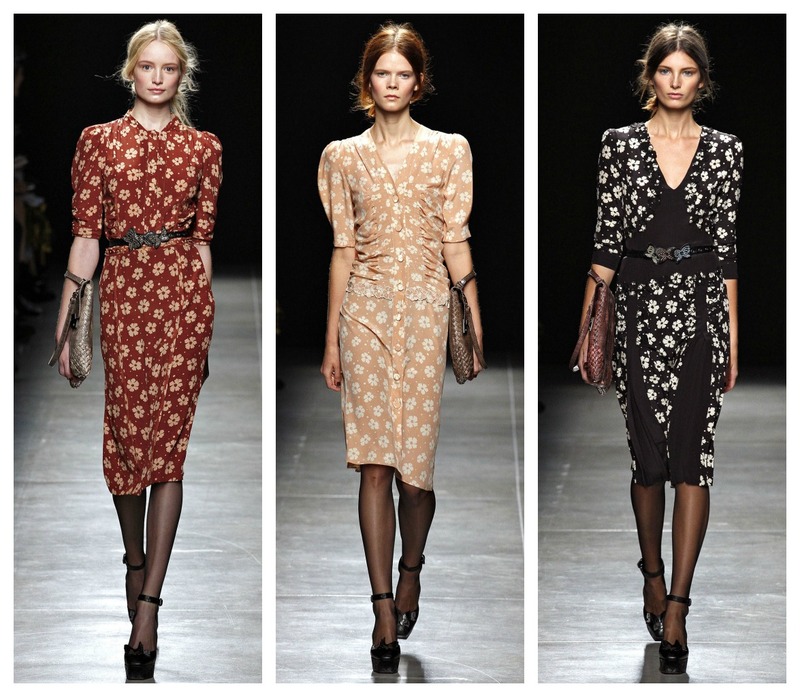 Of all these great vintage inspired looks, my favorites are the 1st look, which exudes 40s with the simple styling, cut, and floral. The length and fit is very flattering to a wide range of sizes. My other favorite is the 10th look, which actually reminds me more of a deconstructed 1920s flapper dress than anything 1940s. However, I love the movement of it. With all the ribbons, it is probably a great texture too. What ever time period you like, it's always fun to time travel occasionally. For the full fashion show, go here.